A comment that this session ‘Going Home: Belonging, Family and Food’ at the SWF was “up there with some of the most stimulating sessions I attended at the festival” summed up the quality of the discussion and the engagement of the audience at this sold-out session with Debra Jopson, Beth Yahp and Adam Aitken. The Sydney-based authors on this panel were a pleasure to facilitate. Their latest books could almost be described as political histories even though two are memoirs and one is a novel. They are full of journeys, fascinating facts, family and sensory depictions of home and place. Perhaps surprisingly, they are as much about Australia as they are about Lebanon, Malaysia and Thailand. Debra Jopson is a journalist. She’s been an investigative reporter, focusing on social and Aboriginal issues. 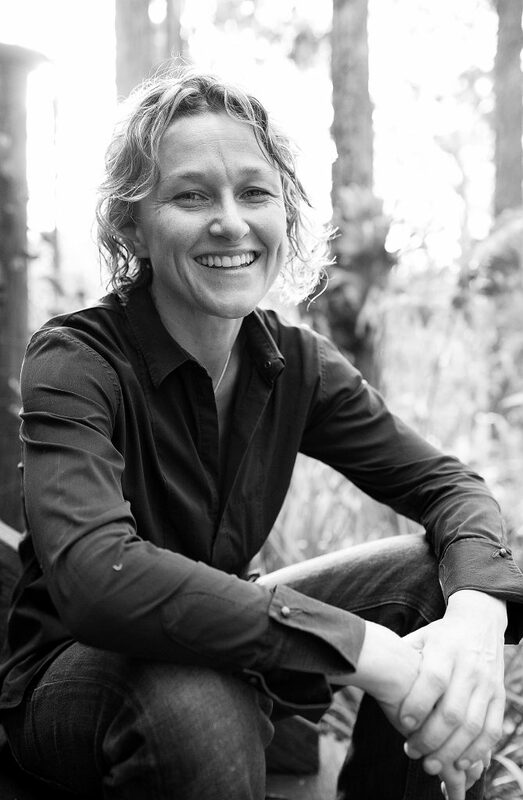 She has won the prestigious Walkley award for journalism and Human Rights Commission honours. 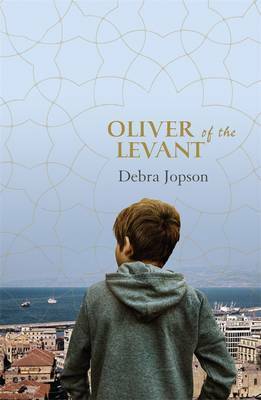 There’s been lots of media interest in Debra’s debut novel, Oliver of the Levant which draws on Debra’s experiences of living in Beirut for two years as a young adult during the start of the civil war in Lebanon in the 1970s. Her protagonist Oliver is a multifaceted 15 year old who desperately seeks a parent to love him and give him boundaries. He runs wild in Beirut. His attempts to romance an older Lebanese girl and his fascination with making bombs have explosive consequences. Beth Yaph grew up in Malaysia and lived in Paris for five years, as well as in Australia. She’s part Thai, part Chinese and part Eurasian but even that’s not an completely accurate description of her heritage. She studied Communications at UTS and has worked as an editor and teacher of creative writing at university level. She is an accomplished presenter, formerly hosting a travel program on ABC Radio National. I first knew of Beth’s work through her novel The Crocodile Fury and her interest in music, explored in her memoir, has been showcased by the libretto she wrote, Moon Spirit Feasting. Her memoir Eat First, Talk Later describes a road trip with her elderly parents trying to retrace their honeymoon trip. 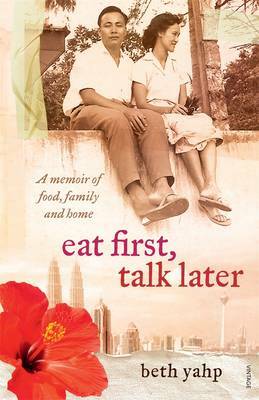 There are many diversions along the way – literal changes of direction – as well as diversions into the near past of Beth’s childhood and further back into her parents’ youth and the history of Malaysia. Adam Aitken also has a fascinating heritage. His Australian father worked in advertising and became a landscape architect and gardener. His Australian grandfather was a soldier. His mother was a beauty and university student from Bangkok. His Thai grandfather was a governor’s deputy and his great-grandfather a fortune-teller and magician. His Thai grandmother had nine children and loved chewing betel nut. Adam was born in London. He lived in Thailand, Malaysia & Australia. As a young man he returned to Thailand to become ‘a real Thai’. He studied English literature at Sydney University and now works as a researcher in writing at UTS. 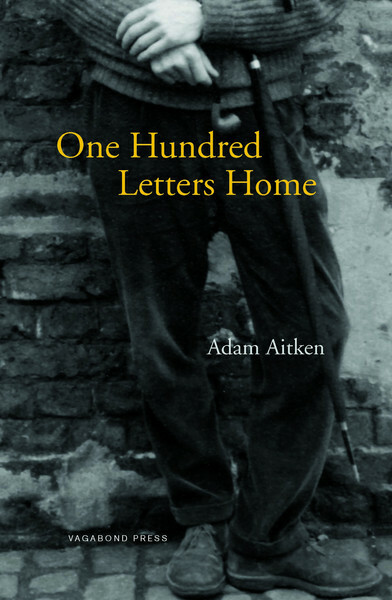 I first became aware of Adam’s work when I was promoting the poetry anthology he co-edited, Asian Australian Poets. 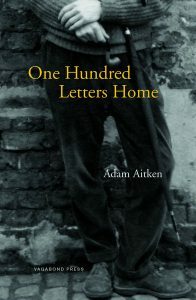 His memoir One Hundred Letters Home is a very frank depiction about his family and his life as the offspring of parents from Australia and Thailand. It was quite a tricky brief to combine two memoirs set mainly in Asia and a novel about a boy in Lebanon but a synergy happened on stage and discussion flowed. Thanks to Adam, Debra and Beth. Drusilla Modjeska’s memoir Second Half First (Random House Australia) reads as excellent literary fiction. I had to keep reminding myself that I was reading fact rather than absorbing fiction. 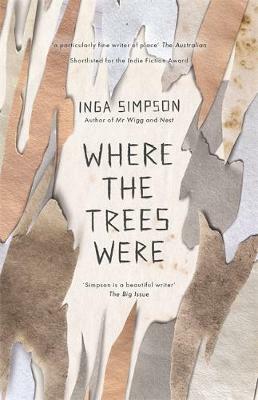 The author moves in exalted literary circles; making friends at university who have gone on to become lecturers, and socialising and travelling with literary friends of the ilk of Helen Garner, Robyn Davidson, Hazel Rowley, Gail Jones, Lynne Segal and author/illustrator and former Children’s Laureate, Alison Lester. 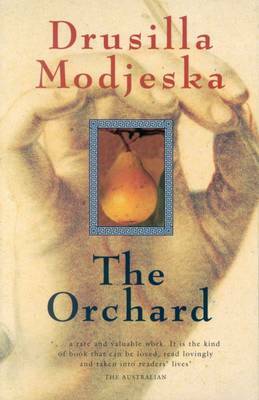 Modjeska tells us how she interviewed the seminal author, Christina Stead but, after an interview at the 2009 SWF with her friend Robert Dessaix she doesn’t believe went well, she hasn’t conducted another public interview. 2009 wasn’t a good year for her, though. 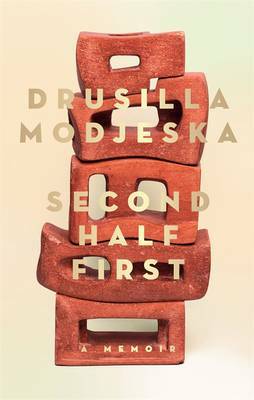 Modjeska structures her story by writing about the second half first, beginning with the breakup with her husband on the night before she turned forty. She writes using images of veils and mirrors from visual art, a field she knows well. She was inspired by artist Janet Laurence’s thoughts about, “A way of looking within the world rather than at it… What do we see when a veil falls?” to write, “What do we see if the layers open and we step between the veils into the hidden, or partly hidden places … veils … occlusions and opacities”. Her traumatic breakup precipitated a new life and vision. Because Modjeska is writing about real life, she ponders what is fair to reveal about people she knows and what the repercussions might be. Some of her settings are also indelible. 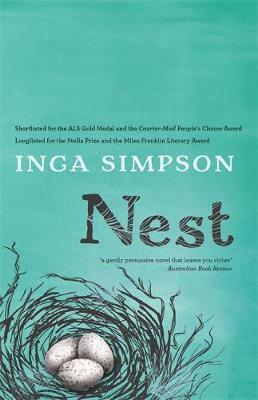 The Sydney Enmore house that she shared with friends, including Helen Garner, and which was the setting for generous, informal gatherings and inspired writing; and the times and travel in Papua New Guinea, which readers of her remarkable novel The Mountain, would have already shared, are seared into my memory. The collection of cloth from a remote mountain village in PNG also raised questions about integrity. Should the cloth be taken and sold overseas to provide money for the Omie people or could the exposure this caused create more problems? 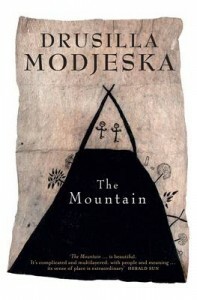 Modjeska also comments on Manus Island and the co-existence of Christianity and traditional practices. Issues such as how different cultures raise boys into men; feminism, spilling into how males and females may be treated differently – including the reception to Karl Ove Knausgaard’s “hundreds of pages on the frustrations of not getting to the books he would be writing if he weren’t in the supermarket aisle with a stroller” and the skewed response by a journalist writing about “childlessness by choice” who only interviewed females and ignored suggestions of males such as David Malouf and David Marr. Drusilla Modjeska’s other books include Poppy, The Orchard and Stravinsky’s Lunch, which I have long wanted to read. There are few stories more abjectly fascinating than those surrounding Lance Armstrong’s triumph over a cancer he was given infinitesimally small chance of surviving and his subsequent seven Tour de France (AKA Tour de Lance) victories. Consequently, there are few stories more assumptions-shattering than the revelation that Armstrong had, in fact, been using drugs to aid his wins all along. The Program, so named to describe the doping program Armstrong (played convincingly by Ben Foster) and his teammates followed, answers the questions we’ve been wondering for years: How did he do it? And how did he manage to get away with it for so long? The film’s opening scene features a solitary cyclist climbing a mountain. The only sounds we hear are the wind, the rider’s breath, and the sound of a helicopter hovering overhead. It is, presumably, Armstrong out in front of the peloton in the Tour de France. Or it’s simply an arresting visual of a rider alone with their thoughts, battling the elements as they work to ascend a mountain. The Tour de France features 180 riders, 20 stages, and just one—highly prized—yellow jersey. Armstrong won the event a record seven times, and he did so after overcoming a debilitating cancer no one should have overcome. It’s unsurprising his wins took on mythic proportions in our minds. Armstrong would likely have remained a legendary figure had it not been for sports writer David Walsh (played by Chris O’Dowd). He was the only journalist who doubted Armstrong’s triumphant physical makeover (Armstrong was built for one-day cycling events, not three-week tours that involved mountainous range) and the only person to doggedly work to uncover the doping truth. To be fair, Armstrong decided to dope because everyone else was already doing it. I know, I know, that doesn’t make it even remotely alright. And yes, the ‘if everyone jumped off a cliff, would you?’ example springs to mind. Armstrong wasn’t and isn’t a sheep. He’s a ruthless competitor who knew what he was doing. But as one friend and avid cyclist said to me when the news of Armstrong’s doping finally broke, he might have been taking performance-enhancing drugs, but he still consistently beat a field of guys who were likely also doping. Was he simply levelling the playing field? I don’t know. With Armstrong’s story, we’re knee deep in murky ethics. And consciences weighing heavy. ‘I just told them what they wanted to hear,’ he tells his future wife after he delivers an inspiring speech about beating cancer. Which is arguably true. We wanted to believe in Armstrong’s story just as much as he wanted us to believe it. And there were arguably some benefits to his profile and success, however false. He raised millions of dollars for cancer research. He inspired people experiencing cancer to fight to live. I’m not condoning what Armstrong did. Like everyone else, I got teary when he stood up on the podium time and again. And I felt foolish and frustrated I’d been duped. I’d even read and loved his two ghost-written memoirs, It’s Not About The Bike: My Journey Back to Life and Every Second Counts, rabbiting on about how incredible it was he’d beat the odds and how hard he’d worked for his victories. So I was particularly annoyed they turned out to be if not entirely false, then at least playing loose with facts. It’s well-documented—and slightly bemusing—that people shifted those titles from the non-fiction to fiction sections in bookshops. Even though Armstrong’s actions were wholly wrong, The Program gives us the most insightful and nuanced examination of Armstrong and his motivations to date. That’s not to say the film’s perfect. 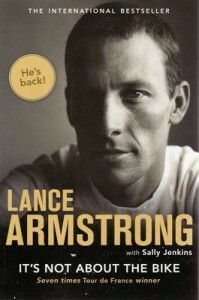 Plenty is skimmed over, not least Armstrong’s battle with cancer and his marriages and relationships. Seriously, the audience kind of chuckled in surprise at how the film cut from Armstrong asking a woman in a hallway if she liked Italian food to—literally—them emerging from a church married. We never saw her again and at one stage his three children, who had not been mentioned or appeared prior to that, joined him on the podium. But that’s also a sign the film stayed true to its intent: depicting the doping program Armstrong and his teammates underwent in order to win. Based on detailed legal documents and reports surrounding his exposure and the stripping of his titles, The Program is the closest thing we’ve got to date about how the doping was carried out. It’s fictional and Armstrong obviously hasn’t condoned it, but I’d like to think the film offers the rest of us some insight into the hows and the whys. It’s certainly closer to the truth than Armstrong’s two books. For those reasons, I’d recommend we watch it. There are much more eloquent reviews of Amy Poehler’s Yes Please out there, and all of them published upon the book’s release months ago. But I finally got to finish Yes Please (albeit reading it guilt-riddenly surreptitiously when I should have been doing other things), and I think the wisdom she imparts is both comforting and worth revisiting. We’re a few days post Christmas gluttony and a few days shy of purportedly turning over new leaves as we castigate ourselves for what we have or haven’t done and steel ourselves that next year we will do better. So Poehler’s book, which encourages us to acknowledge and embrace our human flaws and foibles, is just the reading salve many of us need (right now and in perpetuity). I mean, she warmed the cockles of my heart and beyond with a preface entitled ‘writing is hard’. As someone who’s currently grappling with the hardest writing of her life, and who foresees a good year of that grappling laid out before her before she can even hope to submit her thesis and hope even more to obtain a pass mark, this literally almost made me weep. She goes on to say she enjoys writing, but this book has nearly done her in: She found it inordinately difficult to get thoughts on the page, suffered terrible anxiety about the quality of the work she was about to release into the world, and even cried because she lost her laptop at one stage, with some 50 or more pages not backed up. No one tells you the truth about writing a book. Authors pretend their stories were always shiny and perfect and just waiting to be written. The truth is, writing is this: hard and boring and occasionally great but usually not. But enough of my therapy. Poehler’s book contains gems for even those of us who aren’t attempting to forge careers as writers and who aren’t undertaking crazy loads of study. It’s wise and self-deprecating and her way of looking at the world and subsequently expressing it is off-the-wall impressive. 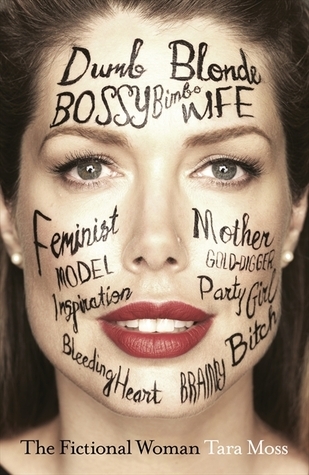 Mostly, it just provides fantastic insight into the life of a woman who’s wickedly smart, funny, flawed, and willing to own and discuss it all. I smiled when I read that she was nicknamed ‘Tweety Bird’ by her parents as a baby because she was tiny, had big eyes, and was bald until she was two. She also wasn’t and still isn’t a good sleeper and apparently used to stare rather creepily at her parents from her crib in the dead of the night. I like that Poehler compares a career to a bad boyfriend—it won’t take care of you, will flirt with others, and will wreck your other relationships. You need to not want it too much in order to make it work for you. Creativity, on the other hand, is the yin to the career yang (or yang to its yin—I always get the two mixed up). I like that she’s honest about the winding path she’s had to career success (and that she notes that that road never ends—you never reach the summit). I didn’t know, for example, that Parks and Recreation was almost cancelled a bunch of times. I like her advice that ‘if you can surf your life rather than plant your feet, you will be happier’. I also like her admission slash accusation that her phone—‘a battery-charged rectangle of disappointment and possibility’—(and the interwebs and social media by proxy) does not want her to be productive. I like that she’s not only written this book, but taken her positive, supportive, it’s-ok-to-be-human message online. I follow Smart Girls only peripherally, but in summary, it’s corner of the interwebs that gives real, practical advice and encouragement for girls growing up in a fakeness-obsessed world. Maybe I’m feeling sentimental because we’re approaching the end of the year and I’m stressed about deadlines and workload and ever making it through either. Maybe I just really admire Poehler and think the world could do with more strong, sassy, talented, multi-tasking women like her. Either way, Yes Please is a book I think you could give to just about anyone and they’ll be able to glean life-lesson gold from it. And, even though she found writing this book excruciatingly difficult, would I like to see another book from Poehler at some stage? Yes please. It’s admittedly sh%tty that it takes a horrific and ongoing event in a region to make me finally pick up a book about it. But the ever-escalating Israel–Palestine conflict finally made me move Izzeldin Abuelaish’s I Shall Not Hate from the black hole that is the to-be-read-at-some-stage list to the I-need-to-read-this-right-now one. Like Desert Flower, which I blogged about a few weeks ago and which was also plucked from a similar almost-never-read fate, I Shall Not Hate both gripped me from its opening paragraphs and had me rueing that I had taken so long to get round to reading it. 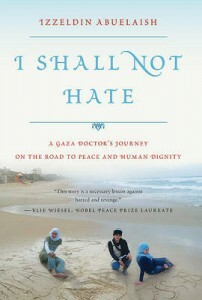 Izzeldin (I think this is his first name, but I’m breaking with convention to follow the book’s style and refer to him that way—methinks it was a deliberate decision to humanise him and I have to confess I like it) is a Palestinian doctor who works to help patients of all backgrounds and creeds. He for a long time worked in an Israeli hospital, making time-consuming, humiliating daily and weekly trips to travel from his home in Gaza to his workplace. He is the first Palestinian to have accomplished such things, with even his residency requiring special permission for him to cross the border to do his research. It also meant someone had to cover for him if he was prevented from crossing the border for some arbitrary security reason. A pragmatic optimist who believes medicine can bridge the seemingly insurmountable divide between Israelis and Palestinians, his thesis is that healthcare is one of the few things that transcend ideological differences and fighting. By treating Jewish patients as a Palestinian Arab, he’s simply showing care and concern for human beings. This, despite experiencing a horror at the hands of the Israeli Defence Force (IDF) that would make it understandable that he could hate Jewish people: Three of his daughters and his niece were killed by an IDF bomb aimed directly at their family home. The IDF apparently has pinpoint-accurate technology that presumably enables them to, well, not make bombing target mistakes. So it remains unclear how—and no one’s accepted responsibility for—the house of a Palestinian doctor widely known to be working to help both Jewish and Palestinian people, came to be blown up. What’s clear is that Izzeldin lost three daughters and a niece without warning and for no valid reason, and just months after the family had lost their mother, Izzeldin’s wife, to leukaemia. His words on the matter are gracious and humbling: ‘If I could know that my daughters were the last sacrifice on the road to peace between Palestinians and Israelis, then I could accept it.’ I can’t help but wonder how he must be feeling during this latest round of fighting. My understanding of the region’s contentious history is hazy at best, and I worry I’ve used wrong titles and terminology in this blog post (apologies if I have, and please feel free to let me know), but I feel that Izzeldin affords me insight into a deeply troubling experience. The primitive and cheap Qassam is actually the most expensive rocket in the world when you consider the consequences—the life-altering repercussions it has created on both sides of the divide and on the Palestinians in particular. We know that military ways are futile, for both sides. We say that words are stronger than bullets, but the bullets continue to find their targets. My philosophy is simple, it’s the advice parents give to children: stop quarrelling with your brother and make friends—you’ll both be better off. It’s difficult not to be incensed by the circumstances and occurrences Izzeldin describes in the book, including how then leader Ariel Sharon was concerned roads weren’t wide enough for his tanks, so he bulldozed people’s homes to obtain that room. Or the numerous examples he outlines of power-abusing tedium to stall and deny him and other Palestinians travel, both into Israel and overseas. There’s also the time he accidentally left his briefcase behind at a border crossing and the guards, despite knowing him and seeing him cross the border weekly for work, blew the briefcase up. They saw him as a potential terrorist. He justifiably felt they should have seen him as a man who simply forgot his suitcase. New York columnist Mona Elthaway wrote of him: ‘He seems to be the only person left in this small slice of the Middle East with its supersized servings of “us” and “them” who refuses to hate’. I consider that an incredibly, insightfully apt description. There are no winners in the current conflict. Reading or watching anything and everything about the region—or the world more broadly, right now—makes my chest tight with despair. Yet Izzeldin’s book—and the man and his approach to life—offer me small hopes and enormous admiration and gratitude. I’m not imploring you to pick the book up at this moment in time, because that would be timely-ly sh%tty. But at the same time, I am. Hopefully you enjoyed What Is It? Genre Part I, it’s now time to delve a little deeper. Let’s take a look at the differences between: biography, autobiography and memoir? Often confusing, are they all the same? A biography is the life story of a person written by someone else. An autobiography is the life story of a person written by themselves. A memoir is a collection of memories from a person’s life, told in the first person. It’s different from an autobiography, because it does not tell the entire life story. Now that we’ve got that straight, what is the difference between an authorised or unauthorised biography? An authorised biography is a biography written about a person with the subject or family’s permission. An unauthorised biography is just that. A biography that has no approval from the subject, which naturally means the subject has not contributed information or personal material to the biography. A well known unauthorised biography is Oprah: A Biography by Kitty Kelley. 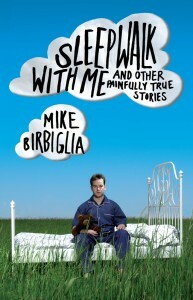 Just when you thought that was the end, I bring you fictional autobiography. Essentially, it’s when an author creates a fictional character and writes a book as if it were a first person autobiography. Sound confusing? A popular example of a fictional autobiography is Jane Eyre by Charlotte Bronte. This also brings us to the controversy of autobiographical fiction. This is when an author will write a book and claim it is their autobiography, although it contains falsehoods and may not be true at all. A great example of this is A Million Little Pieces by James Frey, originally sold as a memoir but later found to contain much fiction. Many readers will suspend disbelief in order to enjoy a good fantasy or fairytale, but if an autobiography is found to contain false claims or fiction, is it any less enjoyable? I like to know what I’m reading beforehand and resent it if I find out later that a book was not all I thought it was. What about you? Let’s look at a few more genres before I close off this What Is It? article on genre. Gothic literature is very popular and includes such novels as Dracula by Bram Stoker and Frankenstein by Mary Shelley. Gothic novels contain some of the following elements: horror, secrets, romance, madness, death, ghosts, supernatural and gothic architecture including haunted houses and castles. Characters in a gothic novel will often include: women in distress, tyrannical males, maniacs, heroes, magicians, angels, ghosts and much more. Gothic horror or gothic literature is a great genre, but what about Tasmanian gothic literature? Yes, you read right, there are a number of novels now classified as Tasmanian gothic literature and if this tickles your fancy, you may want to check some of them out: The Roving Party by Rohan Wilson, The Hunter by Julia Leigh and Gould’s Book of Fish by Richard Flanagan. Whatever your reading tastes may be, you are bound to enjoy some genres more than others and at some point in your reading life, continue to read from your favourites. Just remember to keep exploring and venturing into new reading territories because you never know what you’ll find. It’s only Tuesday, but it’s been a good week so far for Australian non-fiction and for those of us looking to get our hands on some great new books to read. First off, the shortlist for the 2012 Indie Awards has been announced and it has highlight four of Australia’s best non-fiction books released in the last year, just in case you missed reading them. The Indie Awards recognise independent booksellers’ favourite Australian authors from the past 12 months in the fiction, non-fiction and children’s categories, with a special award for debut fiction. The category winners will be chosen by panels of readers and independent booksellers, and independent booksellers then vote on the ‘Book of the Year’ with the winners announced on 10 March at the Leading Edge Books conference. Last year’s Book of the Year winner was Boomerang bestseller The Happiest Refugee by Anh Do. His adaptation for children, The Little Refugee (co-written with Suzanne Do), is nominated in this year’s Children’s category. You can see a full list on our blog, but here are the four non-fiction books picked out as some of the best reads in the genre in 2011, and all are well worth picking up for your reading pleasure. Worse Things Happen at Sea by William McInnes & Sarah Watt. This memoir is a charming, hilarious and touching tribute to family and everyday life, celebrating the simple things that make up the normal life of a family in the suburbs; raising children, renovations that never end and the trials and joys of daily life and dog obedience classes. Notebooks by Betty Churcher. Betty, who was recently on ABC’s “Hidden Treasures” presenting obscure and amazing items from National Gallery of Australia, has penned and sketched this gloriously illustrated book guide to her most beloved artworks. Betty is justly famous for her knack for making art accessible and fascinating and this book, revealing the secrets in masterpieces such as those by Rembrandt, Manet, Vermeer and Cezanne, will captivate art novices and lovers alike. After Words: Post Prime Ministerial Speeches by Paul Keating. Love him or hate him, there’s no doubting that Keating has a memorable way with words (his insults, for example, have their own website). This book of speeches are all his work and range over a huge range of topics from international relations to the role of the monarchy, to the current direction and future of Australian politics, economics and society, leaving the reader in no doubt that Keating is still a man with plenty to say and a stirring way of saying it. A Private Life by Michael Kirby. Michael Kirby is a very public figure, known for his work as a judge, academic and former Justice of the High Court. This book offers a look at his private life, the challenges he faced both growing up as and coming out as gay and the convictions and relationships that have kept him going throughout his career and personal life. Kirby’s writing is warm and humourous and this memoir explores and entertains without navel-gazing. If the highlighting of four of the best non-fiction books wasn’t reason enough to look forward to hitting the bookstores, a new annual prize promises to reward excellence in Australian science writing and make it easier to access. NewSouth Publishing has established a prize for the best short non-fiction piece on science written for a general audience; the Bragg UNSW Press Prize for Science Writing. Named in honour of Australia’s first Nobel Laureates William Henry Bragg and his son William Lawrence Bragg, and supported by the Copyright Agency Cultural Fund, all winning entries will be included in an anthology (The Best Australian Science Writing 2012) which will be published late in 2012. Scientific books can get a bad rap for being impenetrable but, as any regular readers will know, there is plenty of wonderfully written, surprising and inspiring scientific writing out there. While this isn’t the first book that NewSouth have into this area (they published The Best Australian Science Writing 2011 in November last year) the establishment of an annual prize shows an ongoing commitment to the accessible in Australian Science writing that can only be a great thing for those of us who love to curl up with a good book that educates as it fascinates. 2012 has barely started, but I’m confident that it’s going to be a year with some seriously enjoyable Australian non-fiction to get into. What are you looking forward to getting your hands on? I like Anh Do. I’ve been impressed with how likable, affable, down-to-earth, and funny he’s been each time I’ve seen him on TV. So I’m not entirely sure why I didn’t want to read his book. Or maybe I do, although I’ll admit my reasons are entirely superficial and arbitrary. Even though I’m a massive non-fiction reader (as in I’m a voracious reader, not that I’m larger than the average person), The Happiest Refugee isn’t a title that sells itself to me. I guess it’s meant as some irony—both a reference to Do’s humour as a comedian and perhaps his gratitude at being able to make good in a new country. It likely also alludes to the tragedies his family has survived. Still, it puzzles me. I like to understand why something’s the way it is, and I haven’t yet been able to do that with Do’s book’s title. While I’m talking superficialities, I really, really, really dislike the book’s cover. 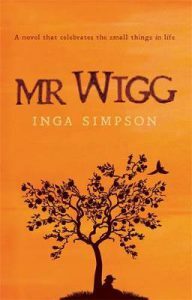 Its orange and brown hues do the book a complete disservice. Its cheap design that includes a disproportionately large pic of Do superimposed in front of the photo of what we can assume is a fishing/refugee-transporting vessel doesn’t cry ‘pick me up and buy me’. I’m surprised the book’s sold at all, and it’s probably testament to Do’s strong profile and not-to-be-dissuaded-by-poor-design fan base that it has. Truthfully, the only reason I read the book is that it recently won a bunch of awards and has had praise and controversy heaped upon it in equal measures (more about said controversy later). Cover aside, I loved the book. It was light but extremely readable and perfect reading material for the long-haul flights during which I tackled it. Do’s a pragmatic storyteller who gives you plenty to contextualise and flesh out the story, but doesn’t waste time on flowery language. 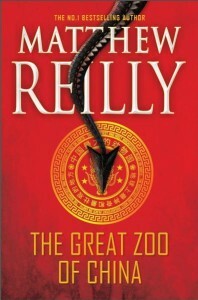 You can tell it’s written by someone well used to standing up and conveying stories in succinct, sharp bites that will hold your attention. 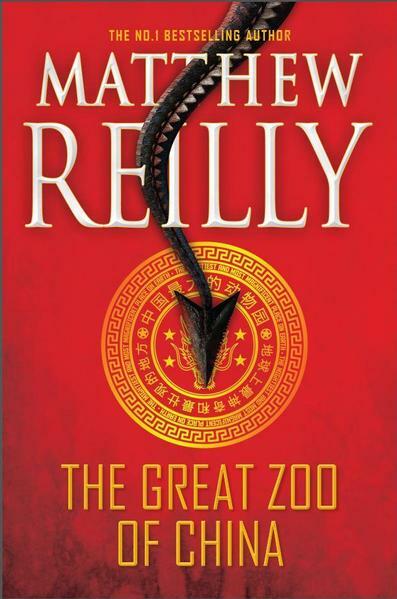 I should say that, bad cover or not, such pragmatic storytelling will always win me over. I quickly lose patience with speculative fiction, with its myriad manufactured languages and 73 million names for an orc depending on which species/tribe/magical caste a character belongs to. I find it distracts from the story, doesn’t in any way advance it, and catapults me out of the tale and into Frown Land as I try to recall what made-up words mean—call the orc an orc and get on with it. But I digress from non-fiction written by a comedian who arrived in the country as a refugee to made-up worlds with orcs…back to Do’s book. Do’s a nice guy with a wicked sense of humour. I completely understand why The Happiest Refugee has sold in spite of the design shortcomings (which aren’t Do’s, it must be noted—I’d say that the publishing house didn’t go all out on the design because they didn’t realise they were onto a winner). And why the book’s won awards. It’s also Do’s storytelling style and sense of humour that makes the story even more heart wrenching. He disarmed me with humour and socked me with sadness—I was smiling about how his younger brother had to wear dresses when they first arrived in Australia, because that was what was donated to them, while at the same time feeling morose that that’s how dire their circumstances were. That’s how the entire book felt to me—Do makes situations where he couldn’t afford text books or new sports shoes funny, while simultaneously showing us how tough it is to arrive in a country as a refugee (I kept thinking this book goes a long way to showing the real refugee story—read: human, rather than Today Tonight media panic trollop—and would help demolish racist stereotyping if we could just get the right people to read it). At no stage, however, does he come across as self-pitying or gushingly smarmy, and that’s a hard tone to strike and maintain. There’s been some (alleged) ghostwriting controversy, but whether the book’s Do’s writing or his ghostwriter’s, it’s Do’s voice, and those stories can only have come from Do himself and his family. In fact, I’m less surprised that he had some help with getting the story down on paper than that he had it from a stranger and not his wife, who is apparently a writer. I’d recommend The Happiest Refugee for a read if you can ignore the cover. My guess is that now that it’s proved a financial boon for them (and clearly it sold because of Do and not because of the artwork), Do’s publisher will be redesigning the book and re-releasing it at some stage with a much-improved design. It never ceases to amaze me how a writer can be celebrated, award-winning, and absolutely massive in one country and yet entirely unknown in another. I found that was the case with Canadian writer Wayson Choy, whose name until recently drew a blank with me (and with, I’m guessing, most other Australians). So yeah, Choy’s like a little bit successful, a little bit famous, and a little bit very much liked in Canada. I haven’t read any of those books—yet. I most certainly will—but I just finished his most recent one. Entitled Not Yet: A Memoir of Living and Almost Dying, it documents Choy’s near-death experiences of asthma and heart attacks and failing internal organs, as well as his rehab. Doesn’t exactly sound like a joyous read or ride, I know, but it actually really is. A gay Chinese man whose name connotes ‘luck’, Choy’s disproved his parents’ fear that he’ll end up alone and unloved. He actually has two families—a city family and a country family—with whom he has lived for decades. One of my favourite parts of the book is when one of the families’ boys outlines his family tree for his classmates. He says that he has a mother, a father, a sister, ‘and a Wayson’. Hearing Choy speak on Conversations with Richard Fidler, with his gentle voice and incisive intellect, I began to suspect that Choy’s the kind of guy you fall in love with and want to keep around. I know I fell for him—and that was in just an hour. It’s not just his voice that I fell in love with. I also fell for his writing. Choy crafts work with a touch as light and poetic as America’s premier essayist, Joan Didion (and no, I’m not really sure what a ‘premier essayist’ is either, but the term is regularly bandied around about Didion and it sounds fancy). In fact, I kept thinking that there were parallels in terms of theme and style and beauty between Not Yet and The Year Of Magical Thinking, the book Didion wrote about the year after her husband died suddenly of a heart attack. Both books are exquisite, deceptively simple and brief, and are rawly honest, although Didion’s is probably (and deliberately so) more of a tearjerker. During July of 2001, with my book deadline looming, far from my mind was any thought that these spells could be signs of ill health or worse. Only in Victorian dramas and novels, and in grand operas, does a cough or two foreshadow finis. Certainly, a sneeze lacks any hint of funereal dignity. With great hope, my family now visited to witness my performance as the Recovering Corpse. ‘What’s the matter, Wayson?’ Marie asked. It’s not perhaps the most upbeat note to end on, but I think it in some ways is. I’ve ordered Choy’s other books and, although I don’t know their subject matter yet, I suspect they will be cheery and will definitely be equally moving and beautifully written. I should probably issue a disclaimer that I not only know this author, I consider him one of my best friends. I should probably also disclose that my brother rates a mention within the book’s chapters and I get one at the end (at least, I think it’s me). But I would also like to say that while I’m biased, I have a very good reason for being so: the author is the incredibly talented Benjamin Law; the book, his memoir, The Family Law. You might have already encountered Ben’s work in the likes of The Monthly, The Big Issue, Qweekend, and frankie, or heard him on ABC Radio where he was recently in conversation with the delightful Richard Fidler. And now, courtesy of his debut book, you (and I) get to read more about his childhood, his family, and in particular his one-of-a-kind mother, Jenny. 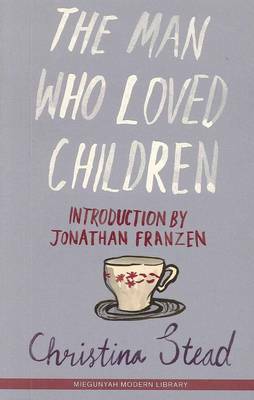 It would be easy to categorise Ben’s book as a David Sedaris-style book of short stories that will make you cack yourself on public transport. And, while that is true of The Family Law and the two writers have a lot in common, I’d argue that Ben’s writing has an extra depth. The Family Law is incredibly funny, but it’s also incredibly poignant. It aligns upbeat stories about his aspirations to be an actor on Home and Away and how his father doesn’t like thongs because they ‘split the toe’ with heartbreaking stories about his parents’ divorce and his mother’s miscarriage (Ben is one of five children, but his mother was pregnant six times). I absolutely loved the story of Ben’s own birth, which was speedy and which saw his mother in agony in the backseat of the car as Ben’s workaholic father drove her to the hospital. She was relieved to find that they had arrived, but quickly realised instead that he had stopped in at the restaurant at which he worked because he was hungry and didn’t like hospital food. 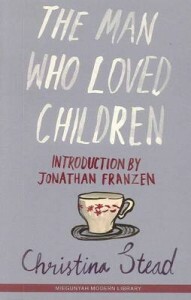 The chapter in which his mother discusses vaginas with unequalled frankness is completely and utterly priceless and rather than quote it here I’d simply encourage you to read it in full, graphic detail. I also loved the stories of how his family, one of the first Chinese families to settle on the Sunshine Coast, used to try to seem as ocker Australian and un-touristy as they could at theme parks so as to differentiate themselves from Asian tourists. But I was absolutely floored by the stories of how some of his relatives were deported from Australia, how Ben came out to his mother, as well as the truth-is-stranger-than-fiction tale of his grandfather, his father’s father. All three stories speak volumes about the wrenching outcomes of our immigration policies, about father-son relationships, and about the complexities of growing up Asian and gay (or as Ben terms it, ‘gaysian’) in Australia, and have stayed with me for the weeks since finishing the book. Of course, I am undeniably biased that The Family Law is a book worth rushing online to buy and I won’t try to convince you otherwise. But I will point to the fact that this is a man so popular and whose book was so highly sought after he had to have two sold-out book launches in his adopted hometown of Brisbane. I might be biased, but it seems a lot of other people are too. The Family Law is available at this good online bookstore now. What surprises me most about harrowing memoirs is the matter-of-fact aplomb with which they’re so often conveyed. 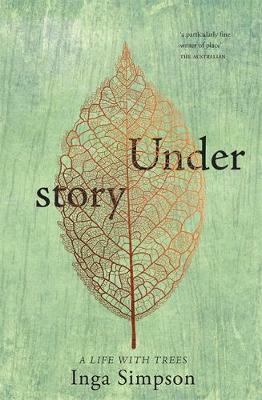 Kay Howarth’s Ten Hail Marys is no exception, with the Australian first-time author pragmatically detailing her experiences growing up both as an Indigenous Australian and as a pregnant teenager in St Margaret’s home for unwed mothers where she was ‘pressured’ (somehow that word doesn’t do justice to what she went through) to give up her child. 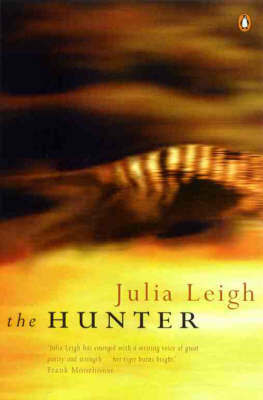 As the illegitimate daughter of a wayward mother and with her father unknown or whose identity was never quite made clear, raised by her fickle grandmother, deposited at or dumped on various relatives and neighbours, or simply kicked out of home, what’s surprising is that Howarth survived her childhood relatively unscathed. Despite her grandmother’s put down that she would end up ‘hawking her fork’ on the street just like her mother, Howarth was actually an incredibly bright and very good kid. But against a backdrop of threatened or actual physical, sexual, and emotional violence, and without anyone to turn to for information or help, the sexually naïve Howarth found herself pregnant at age 15. Which is where the inspiration for the story sets in. A recent parliamentary inquiry into adoption practices between 1950 and 1998 home implied that unwed mothers-to-be were treated well and had the option to keep their children. This was anything but the truth, with the some 98,578 unwed women who gave birth to babies during this time given few options and put under extreme duress to give up their children to couples who would, it was implied, be able to take better care of them. Until this book, Howarth hadn’t openly discussed her experiences at St Margaret’s—she figured that no one would believe her. She certainly hadn’t been aware of her options at the time of her pregnancy and was put under extraordinary pressure by the nuns to relinquish her rights to her child. Where her story differs is that she was one of the few women who managed to keep her baby, albeit through having to survive traumatic circumstances. It’s been said that the invention and ready availability of the contraceptive pill is one of the greatest advances of recent times and, after reading Howarth’s tale, it’s something I’m inclined to agree with. The stigma surrounding, and lack of options offered to, women who found themselves pregnant out of wedlock are disturbing. Indeed, part insight into the treatment of Indigenous Australians, part insight into the treatment of unmarried mothers, what makes Ten Hail Marys all the more shocking is that it happened not hundreds of years ago, but in recent, living memory. But I don’t wish to give the wrong impression. For the apparently dark themes it addresses, the book is surprisingly light and easy to read and Howarth’s intelligence, strength of character, sense of humour, and love for her child are what are most striking. There’s no pity in this memoir. Instead it sets the record straight on, and offers an inspiring insight into, a significant and little-known aspect of Australian history.